On Sunday 20th September we held our second Harvest Festival Mass at 9.30am. 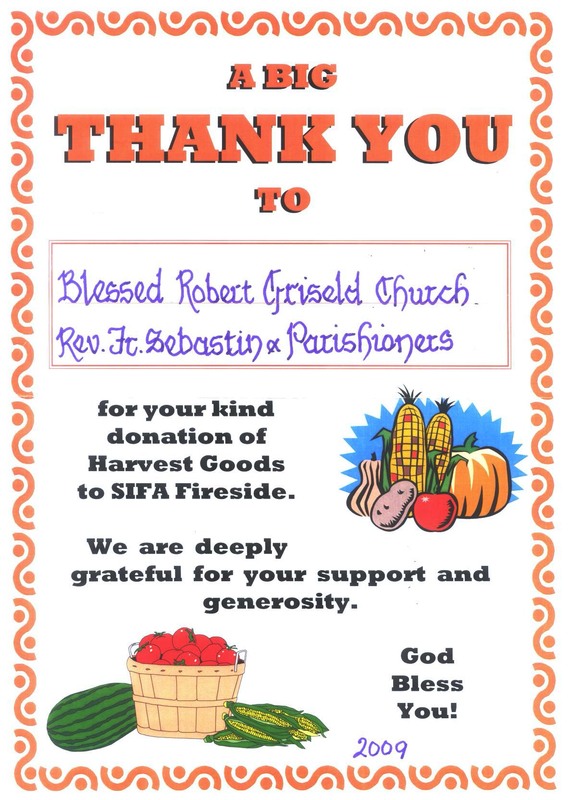 We collected food and other useful items for the Fireside Day Centre at St Martin’s in the Bull Ring for redistribution to those in need in the Birmingham area. As usual, the people of the parish responded magnificently with donations of Tins and packets of food, particularly, meat, fish and soup, Coffee, good, nearly new clothing and household equipment and kitchen utensils.